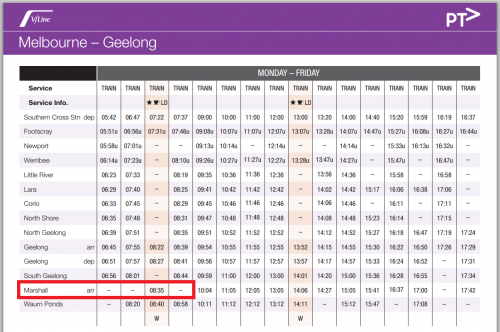 With the opening of the new Waurn Ponds railway station back in October 2014, V/Line had to modify their Geelong line timetable so that trains could actually serve the new station. It is on this new timetable that I found an oddity – two early morning trains bound for Waurn Ponds that stop at every station except for Marshall. So what is the reason for this move?